In the post-War years, as 1911s became increasingly common in the civilian market, shooters and custom shops found new ways to upgrade their .45s. Uncle Sam’s original spec sheet was a one-size fits all. But the 1911-loving public quickly figured out that America’s favorite autoloader could be improved with customization. The Loaded Series from Springfield Armory® brings you the culmination of those lessons. 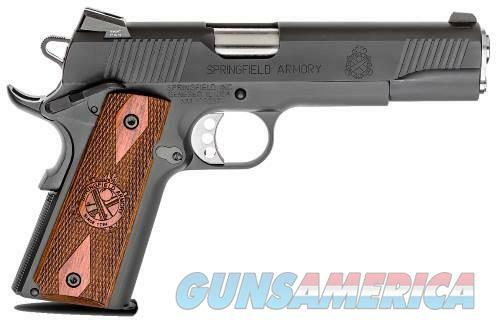 These pistols are Loaded with all the features a 1911 should have. Whether you’re looking for a pistol to use for target practice or home defense, you’ll appreciate the extended ambidextrous thumb safety found on all Loaded 1911s. Likewise, the ergonomic beavertail grip safety, lightweight delta hammer and extended trigger enhance handling and performance in any situation. But not every feature does all jobs, and so the Loaded Series is a diverse lineup. The variety of finishes, frames, calibers and sights means that there is a Loaded 1911 designed to handle your intended application. If you’re ready for a 1911 that brings you upgraded features without a custom shop price tag, look into the Loaded Series.